I was once of the belief that charms were just meant to dangle from bracelets, but with the introduction of Jennifer Fisher’s collection I’m now of the full belief that charms, are not just meant to dangle from chains around one’s neck, but are actually the chicest way to be worn. To say I’m slightly obsessed with Fisher’s line is an understatement, I wear her necklace all the time and always received the nicest compliments. 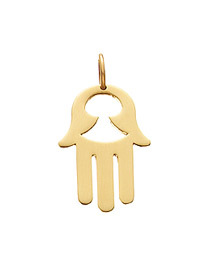 I went the simple route picking two charms that I love, a hamsa and a wishbone both in gold. Both charms, I feel, add a bit of luck when worn. I love them matched with a small gold elephant I wear everyday too. The options are endless, there is really a charm for everyone. With a birthday on the horizon, I definitely can’t wait to add another gorgeous charm to the chain, xo. which charm are you looking for – for your birthday!